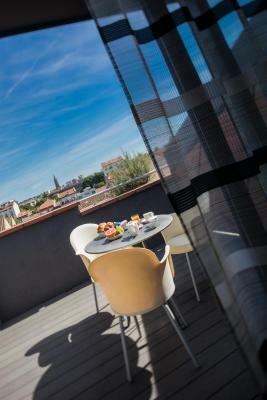 Lock in a great price for Hôtel de Brienne – rated 8.5 by recent guests! The decor was pleasant, the mattress firm. It was clean. 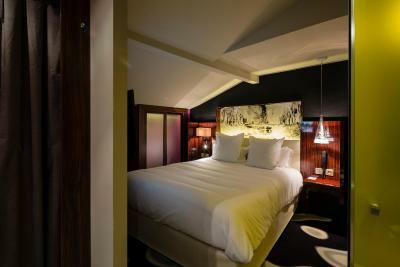 Nice small hotel, loved the top floor room with balcony. Friendly staff! I really liked the cleaning service. The cleaning staff did a very good job! 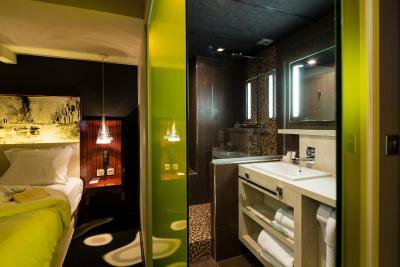 I also liked the facilities of the hotel! Although it was a small room, one could find anything that was needed due to the well organization of the room. They also borrow ironing facilities and umbrella to the guests. 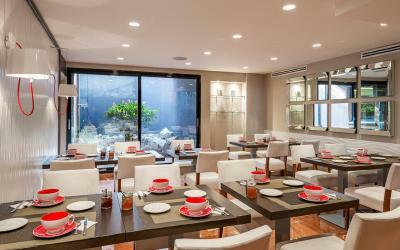 Great location about a 10 minute walk from the historic centre. 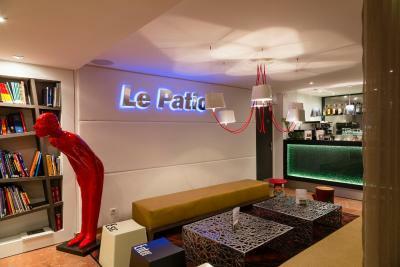 Cool design at hotel. Friendly, helpful staff. The bed was excellent and the recommendations for dinner was just what we needed. Keeping our options open to stay again on our way home. Close to the centre of the city with good parking. Lovely small hotel with helpful (English-speaking) staff. Conveniently located (within walking distance of major sites), and free parking is a major bonus for those of us seeing France via rental car :-). For added convenience, there's a small grocery store on the same block. 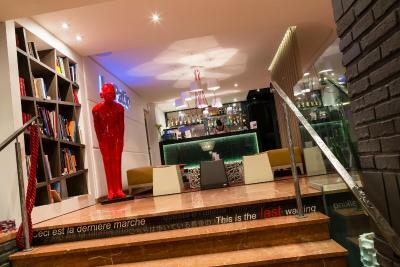 Helpful reception staff and location close to the river and metro station. 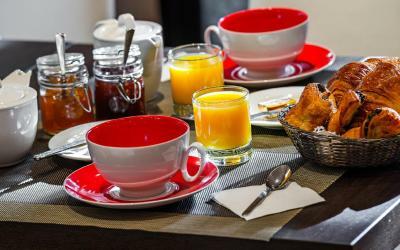 Located next to the Canal de Brienne, this 4-star hotel is a 15-minute walk from Toulouse City Center, a 5-minute walk from Toulouse Congress Center and next to Toulouse Business School. 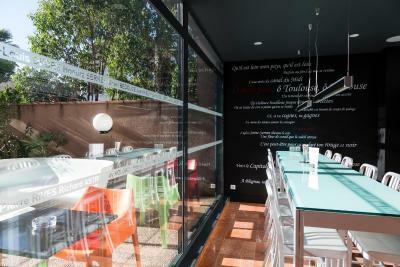 It is 1,300 feet from Compans Caffarelli Metro Station and 2.5 mi from Toulouse Stadium. 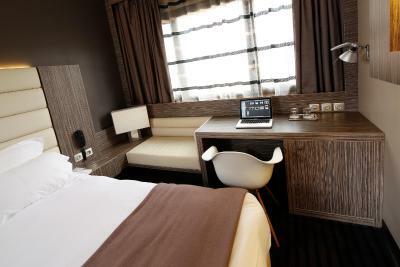 An LCD TV with international channels is featured in the rooms at Hôtel De Brienne. 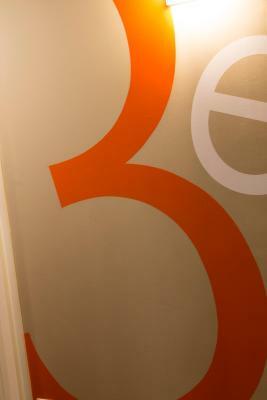 All rooms are decorated in a contemporary style and also offer free WiFi access and a mini-bar. 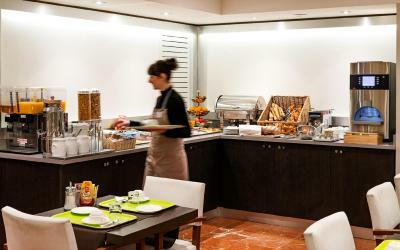 Continental breakfast is served in the comfort of rooms or guests can choose from the buffet every morning. 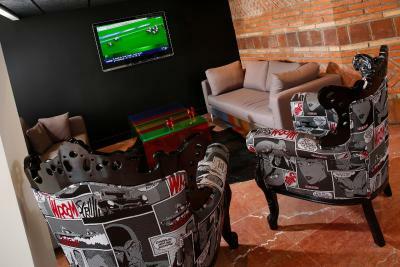 Guests can also enjoy an aperitif on Brienne’s bar terrace before dining in the nearby restaurants. 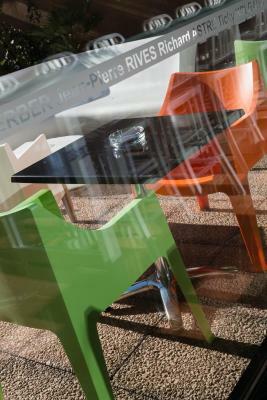 Car rental, currency exchange and dry cleaning are just some of the other facilities on offer at the 24-hour reception. Place du Capitole and the old streets by Garonne Theater are a 20-minute walk away. You will find an airport shuttle next to the hotel. 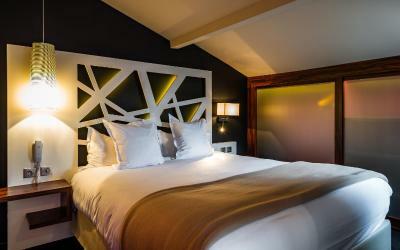 When would you like to stay at Hôtel de Brienne? 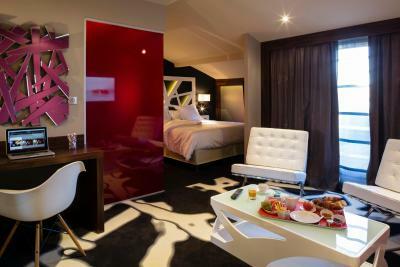 This contemporary room is air-conditioned and features an LCD TV with Canal+ channels and a minibar. This family room features air conditioning, mini-bar and flat-screen TV. 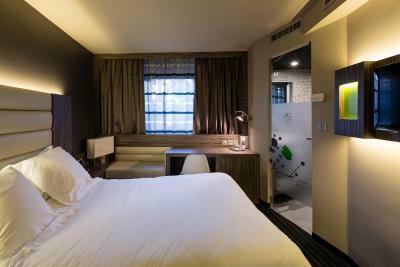 This twin room features a satellite TV, mini-bar and air conditioning. 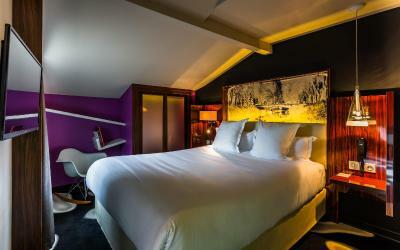 House Rules Hôtel de Brienne takes special requests – add in the next step! Hôtel de Brienne accepts these cards and reserves the right to temporarily hold an amount prior to arrival. Group bookings: a deposit of 50% is required - cancellation free of charge until 30 days before arrival. 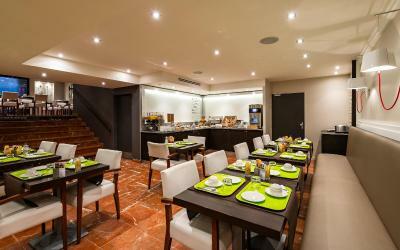 An express breakfast is available upon request. The hotel was in a good place close to the center and next to the canal. The breakfast was good but it could be less expensive. The room was clean. The price of breakfast seems for me rather high. Very friendly and accommodating. Good location. The car park costs €13 per night. However its free on the street all day Sunday. 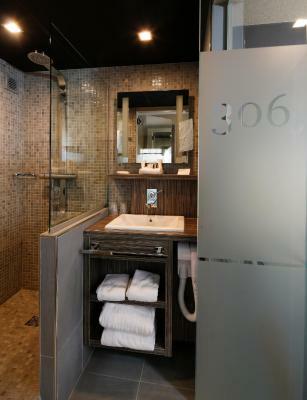 The toilet and bathroom are all glass and not that spacious, which may not be to everyones liking. 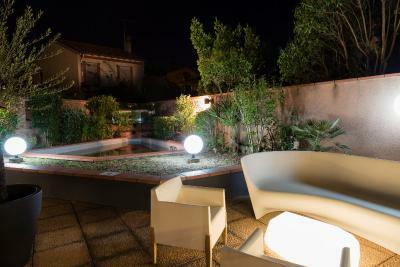 Nice location near the Canal and the Garonne River. About a 20 minute walk into the centre of the city and the old town area. Staff are professional, helpful and friendly. 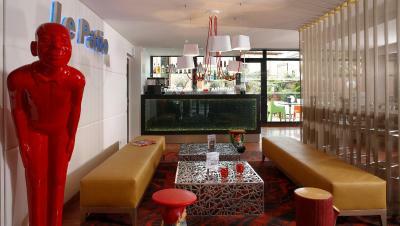 The hotel has a contemporary feel and the facilities are comfortable and good. It was a 30 minute walk to the town center. The staff was helpful and welcoming. The room was quiet and clean. Rooms are not very soundproofed, we could hear doors opening down the hallway and footsteps on other floors - fortunately, everyone around us was quiet at night, but I imagine this could be a problem with louder guests nearby. 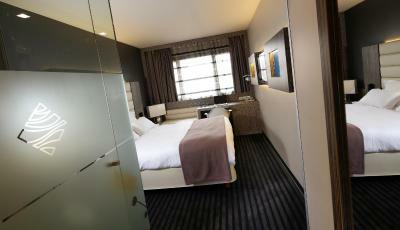 Nice, quiet room in a great location for our quick 1-night stay. Friendly staff and convenient parking. 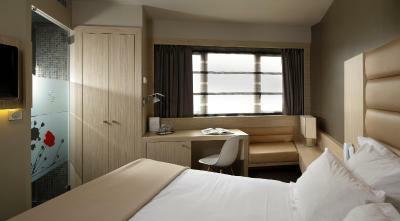 The triple room has a pull-out bed that isn't shown in the pictures of this room type. Comfortable bed! Liked the shower & sink area. Bed was comfortable.